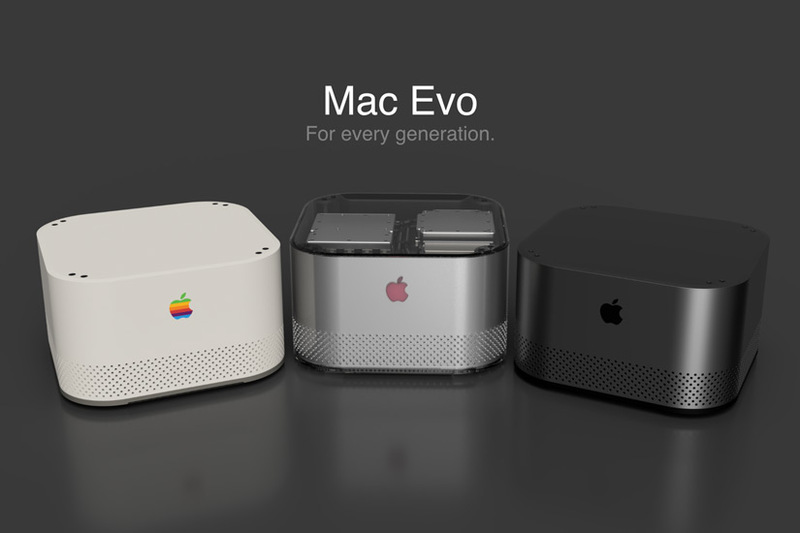 The Mac Evo is a concept for an Apple desktop computer that is intended by Pierre as a viable alternative for Apple Mac users in the creative sectors who need powerful systems for productivity, media creation or gaming, without the need for a large tower. 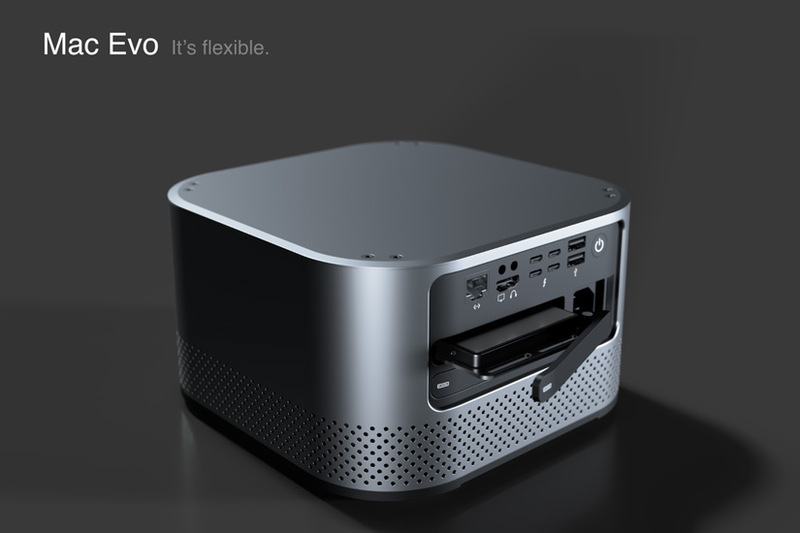 Let’s face it any of us are still using PCI-e cards like the Pro Tools HDX cards are never going to get an Apple with PCI-e slots, however modular the 2019 Mac Pro ends up being. 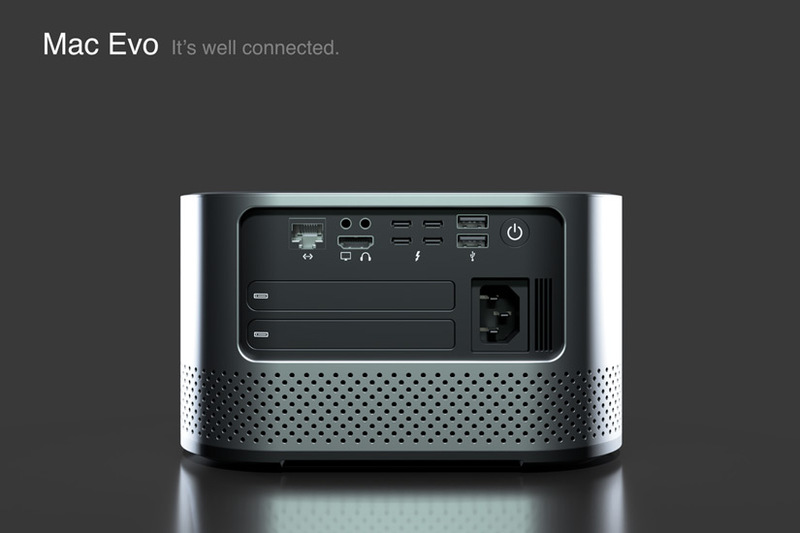 The Mac Evo also aims to address the increasing difficulty Mac users face when upgrading their systems, as every new generation relies more and more on proprietary components and soldered, non replaceable, chips. Finally, Pierre wanted to introduce water-cooling to a Mac as a way to avoid any form of thermal throttling to offer greater speed by lowering the temperature of the processor, whilst keeping the system as compact as possible. As we saw with the latest MacBook Pro, the Intel chips Apple uses in its OS X computers often have to be throttled down to keep them from overheating and Pierre suggests that liquid cooling is one solution to this. 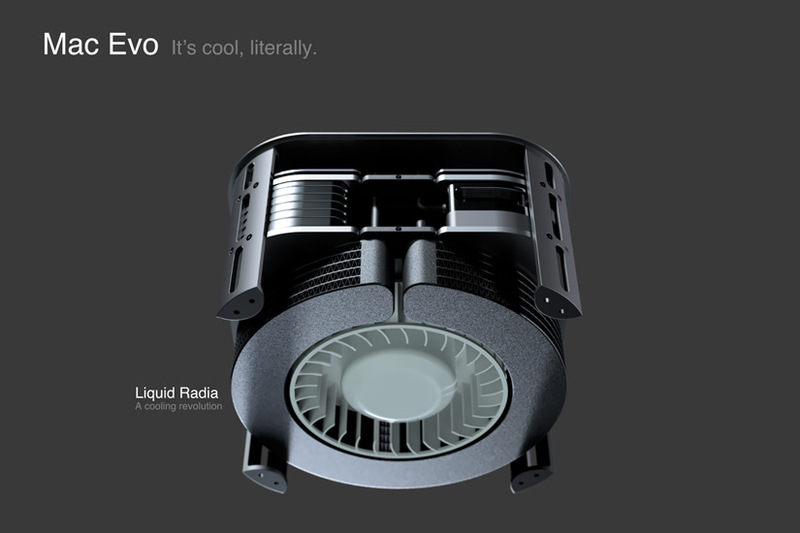 Apparently he calls it the Liquid Radia system because it uses a radial radiator. 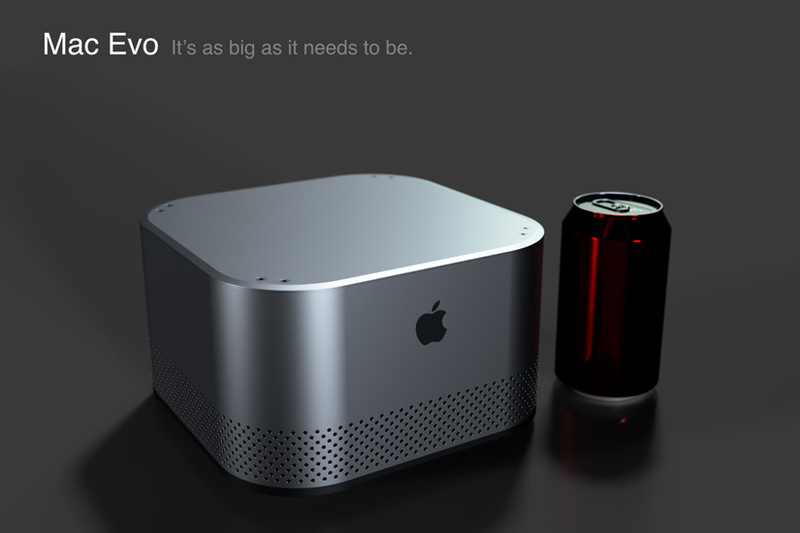 Now just to clarify, Pierre is a designer and these are his own ideas and not leaks from Apple. He is also by his own admission not an engineer. This concept design from Pierre has a lot going for. Its modular and parts can be easily upgraded. 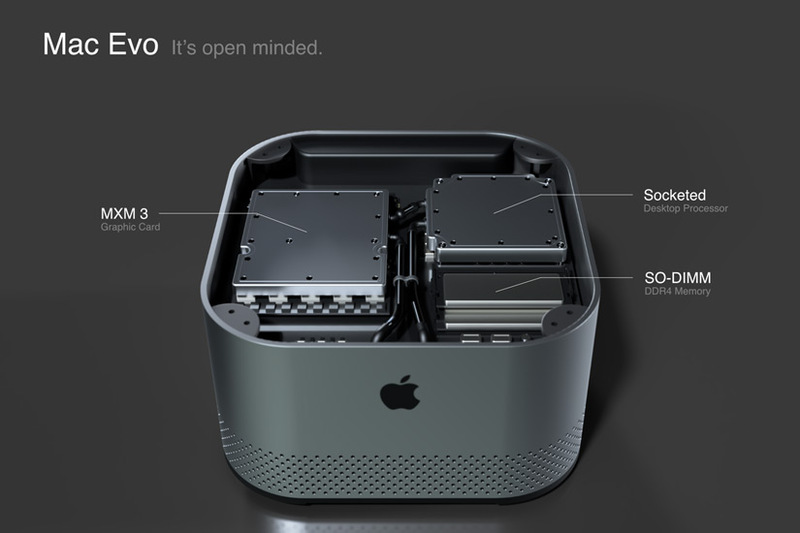 I especially like the back panel with HDMI, 4 Thunderbolt, 2 USB and an Ethernet port, but the best part is the slots to take 2.5” SSDs. 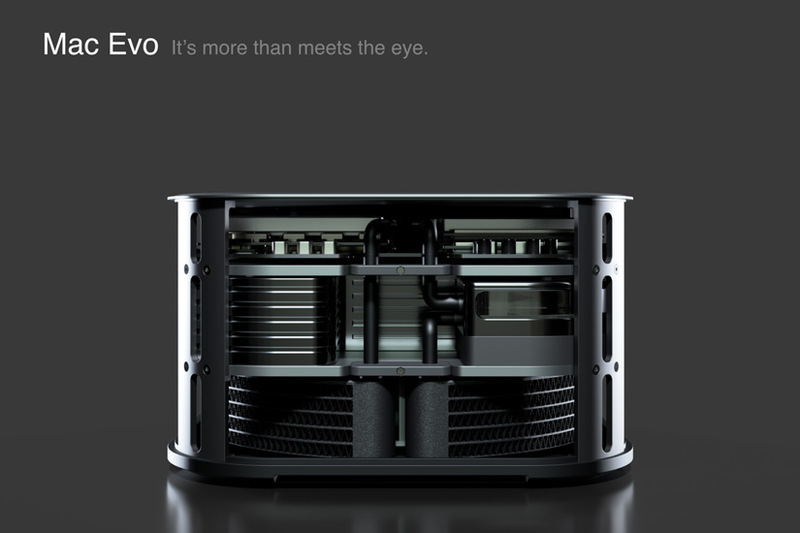 As to pricing, Pierre doesn’t make any suggestions but by positioning it between the Mac Mini and the Mac Pro it would have to cost between $1100 and $3000 for the base model. Would this concept work for you? 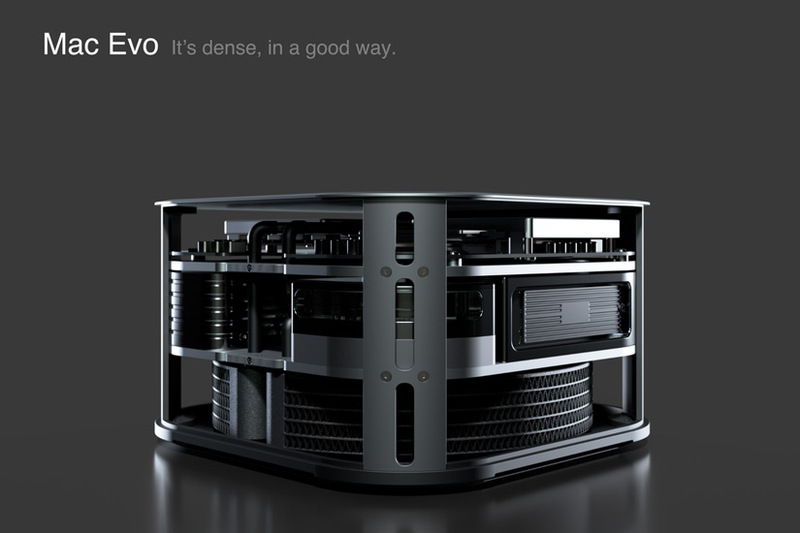 Would you buy it for your DAW if Apple made it? Do share your thoughts and observations in the comments below. 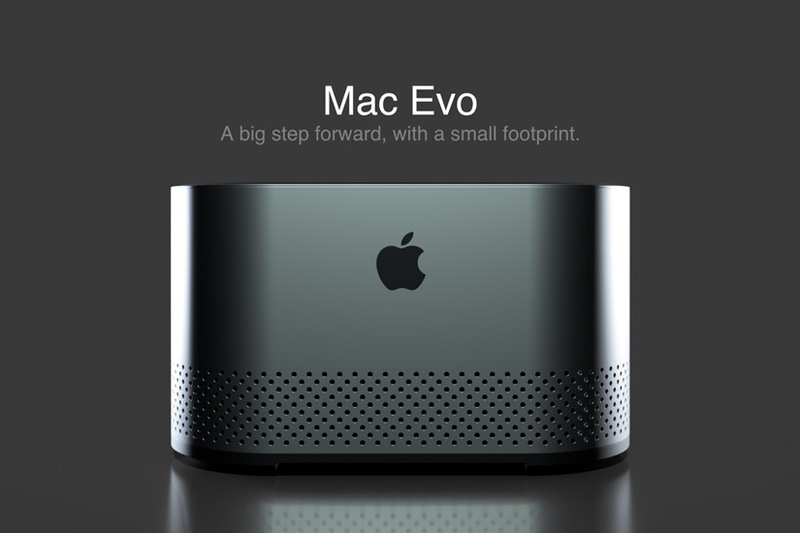 Apple Mac mini 2018 Tested For Audio Production Work - Is This The Next Computer You Should Buy For Your Studio?